In this roundup of AutoCAD tips and tricks, we tackle Object Snaps (Osnaps), external references (xrefs), managing DWG file size, navigating commands via right-click customization, and assigning lineweights. 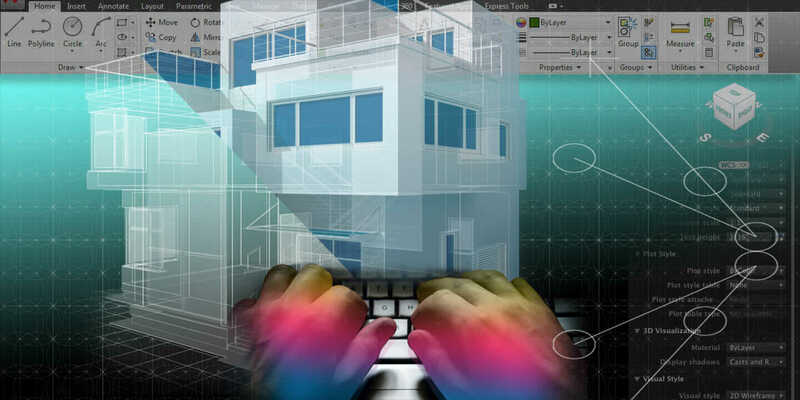 These tips will save time and energy in everyday AutoCAD operations. Happy snapping and reffing! 1. Using Object Snaps. Osnaps allow you to select positions on components in a drawing for locating other features. The points are center, endpoint, midpoint, intersection, insert, nearest, node, perpendicular, and quadrant. There are more special Osnaps, such as “mid between two points,” too. See more from CAD Masters. 2. Using Object Snaps, Part II. Osnaps can be used in a viewport, too! Use shift+right-click once inside your viewport to bring up endpoints and other Osnaps. CadGodinTraining tells us about an even quicker and easier method to use Osnaps in a viewport. 3. Managing DWG Files. Put your DWG file on a diet. There are some commands in AutoCAD that you can use to get rid of file-bloating references. Be careful you are not removing things you actually need at some point, like an unreferenced dimension style or block. AUDIT, PURGE, -PURGE and -OVERKILL will slim that DWG file down. Read more from Shaan Hurley at All Things Autodesk and Technology. 4. Navigating Through Commands Quickly With Right-Click Customization. Before AutoCAD 2000, right-clicking automatically meant “Enter.” Post-AutoCAD 2000, right-clicking brought up shortcut menus. With right-click customization, you can have the best of both worlds. Find out how from Lynn Allen at Cadalyst. 5. Assigning Lineweight Units. You can assign lineweights in AutoCAD by using the Lineweight layer property or using a plot-style table inside your page setup with the Plot command. You have the option of using inches or millimeters, no matter which method you use. Learn how to easily toggle between each from Donnie Gladfelter, the CADGeek. 6. Renaming AutoCAD Xref Layers. Layers from external references appear in the AutoCAD File Manager, preferenced by filename by default. This can interrupt the list of layers that are already live in your drawing. By changing names in the external reference palette of the Layer Manager, you can keep them all together and maintain order. See how from Curt Moreno, the Kung Fu Drafter. Have you checked out AutoCAD 360 to help you take CAD beyond the desktop? It’s free, and the 2.1 update—which features collaboration, display, and time-saving enhancements—will be available for iOS on August 27, with the Android version to follow a few weeks later.